Land Rover R380 Gearbox Overhaul Manual. Land Rover Defender TD5-TDi-V8 Handbook. Land Rover Car Manuals PDF & Wiring Diagrams above the page. That's why, when the creators of the car, the Wilkes brothers developed the first Land Rover in 1948, they made it as strong as an ox. World famous car was not the product of a long process of production of new ideas, but rather a response to a question like "why not." Maurice Wilkes, who was the chief designer of Rover and the proud owner of the Jeep (Manuals page), started thinking about creating his own car when he realized that the car, which he was eventually "go to the bottom." SUV have already proved their worth during the Second World War and the regular version of the military vehicles were on the verge of entering into mass production. It was a great time for the British to be able to surpass the Americans with Land Rover launch. Fortunately, Wilkes proved superiors Rover factory that his project will be commercially successful, as a reliable multifunctional car that can easily challenge the superiority of the Jeep. The first Land Rover was introduced in the Amsterdam Motor Show April 30, 1948, where he attracted the attention of many. Built on the chassis of Jeep, Land Rover main qualities were his strength, light weight and the ability to easily cross the bumpy roads. While the United Kingdom was still the colonial empire and take full advantage of their position for the dissemination of Land Rover in all of its provinces. Before you make friends with the leaders of the expedition, and off-road enthusiasts, Land Rover has become popular among farmers across the UK. To the farmers accepted the idea of a transition from horses to diesel cars, Land Rover had to prove his ability, which of course could do. Shortly thereafter, he became a car that was chosen gentlemen and landowners. Later, Land Rover has become the main vehicle for use on expeditions and gained a reputation as an unbridled, as to this day reliable for extreme conditions. In fact, Land Rover has become very popular, and became the vehicle on which it was possible to reach many remote places around the world, making it the first car seen 1/3 of the world's population. Later models were equipped with a reliable 4WD system that immediately allowed Land Rover to conquer new markets. In 1970 Land Rover «collapsed» among farmers who have switched to a similar Japanese cars, capable of better and easier to do the job Rover (Manuals PDF page). Asian manufacturers have already made a reputation for their reliable cars and came close to winning the US market, on which the Land Rover was very far. The situation was partially resolved with the release of Defender improved model that has managed to bring back some popularity. Having changed several owners, the company Land Rover was owned by BMW (PDF Manuals page), which came under the leadership of several new models, as well as changes were made in the previous cars. Disco and Freelander are the first two models produced under the auspices of BMW, which had a significant impact on the market of SUVs and minivans. After the deal with the American manufacturer in 2000, Land Rover and Jaguar were on their way to join the Ford (Manuals page). Land Rover returned to the market more advanced, having severe quality control process. 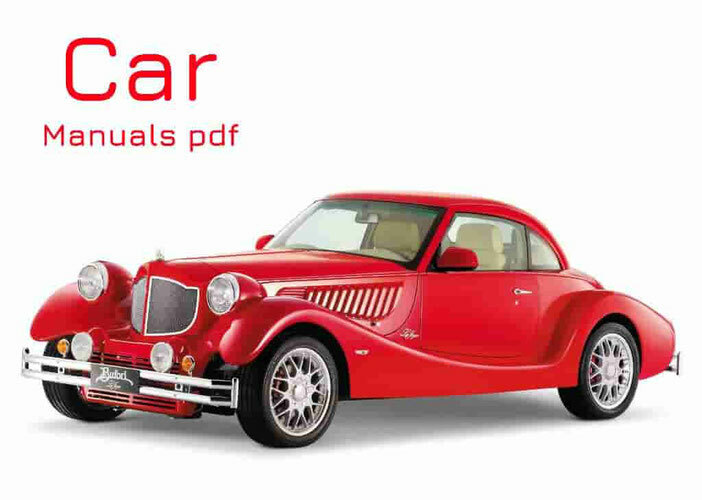 But in spite of his return, the company, together with Jaguar (PDF Manuals) was re-transferred to the new owner, which was a division of the Indian Tata Motors (Manuals PDF page) community.